Permanent hearing loss can be difficult to deal with. The most straightforward solution is to invest in hearing aids, but there are so many different types that it will take a hearing care provider’s assistance to help you choose the right type. One of the most popular styles of hearing aid is the ITE hearing aid, otherwise known as in-the-ear hearing aids. They’re popular due to their discrete look, power and ease of use. They usually don’t come loaded with multiple features, which makes them a simple choice for people that don’t want to fiddle with buttons and other settings. To understand more about ITE hearing aids, you’ll want to speak with your hearing health professional and ask them questions that can give you a better understanding of how they work and if they’re the right pair for your needs. Consider the following common questions about hearing aids. 1. What options do I have for discreet hearing aids? 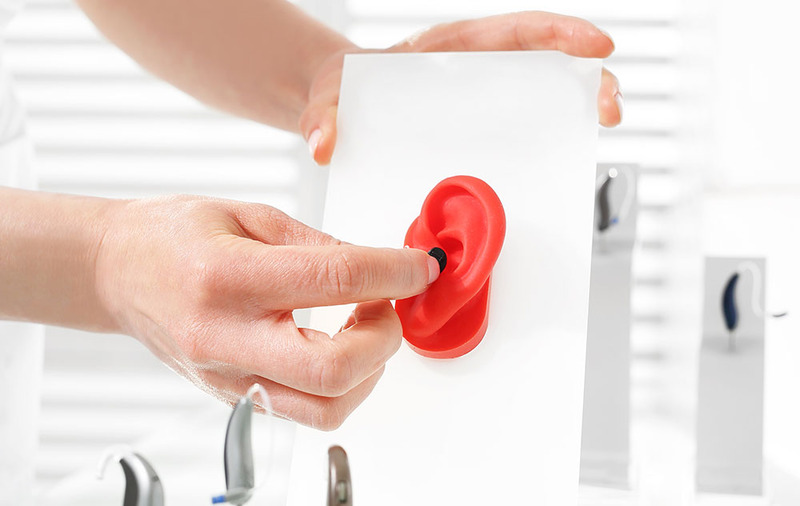 In-the-ear hearing aids are naturally discreet due to their size. However, you’ll also want to consider factors such as the color. You’ll want to pick a color that blends well with the rest of your ear, especially if you’re looking for a discreet pair of hearing aids to use on a regular basis. You may also find that your hearing specialist offers you various sizes of in-the-ear hearing aids. Some might be larger to facilitate a larger battery, while others might have more options to control the volume and other settings. In most cases, the most discreet option is usually the smallest one with a faceplate color that matches your skin. 2. How much will my ITE hearing aids cost? While you should always invest more into your hearing aids, you should still keep an eye on the price. You won’t want to invest in a pair of shoddy hearing aids that will break after a few weeks, so always make sure you invest in premium products that have a long lifespan. You’ll also want to see if your health insurance covers your hearing health as well. There’s a good chance that the hearing specialist you’ve chosen isn’t covered by your health insurance, and this could incur more costs than you initially thought. 3. How do I look after my ITE hearing aids? ITE hearing aids are smaller than you might think. They’re designed to fit perfectly in your ear (hence why they’re custom made) and they don’t have wires or anything. This means if you lose the hearing aid, there’s a good chance that it will be gone for good or damaged because they’ve dropped out of your ear. Ask your hearing specialist for tips on how to look after your hearing aids. Ask them about how to store them, the safest way to take them out and put them on, and how you can clean them without damaging the insides. There are many more questions you could ask your hearing health professional about ITE hearing aids, but we believe that these three are the most important questions to consider when investing in a new pair of hearing aids.